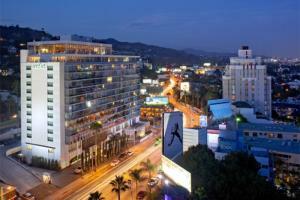 Andaz stands for more than just the name of this West Hollywood hotel. It is Hyatt's newest brand concept, dedicated to bringing you the latest in style, service, and high-touch innovation. The modern and uncomplicated décor enhances the natural surroundings of Hollywood beauty, creating a traveler's retreat that is ideal for the independent thinker who wants a personalized travel experiences.